This flawless lehenga set is sure to get your noticed. 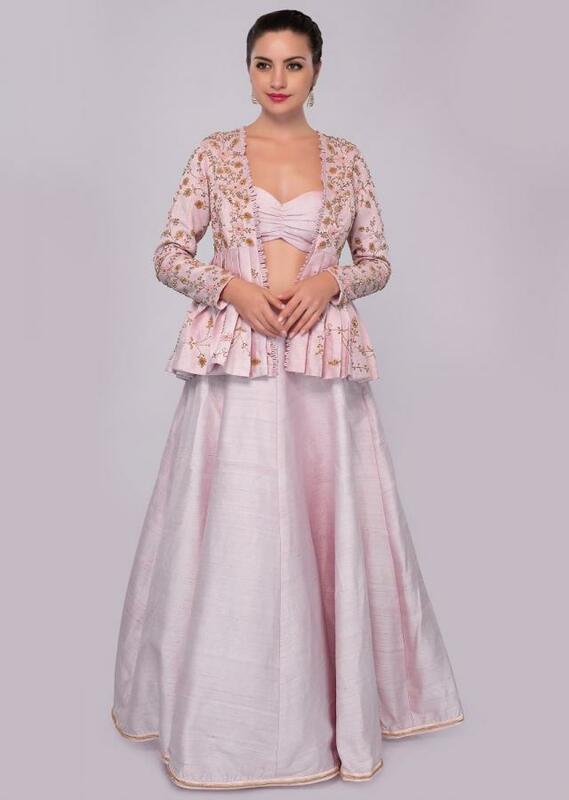 Feature powder pink raw silk lehenga with kali and cut dana embroidered hemline. Paired with a matching raw silk crop top strap blouse. 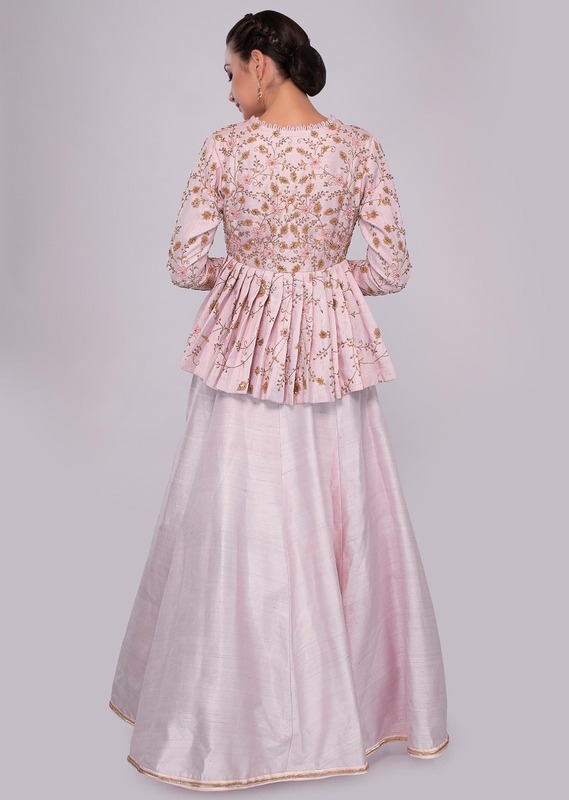 Its given a classy touch by teaming it with a fancy raw silk embroidered jacket. 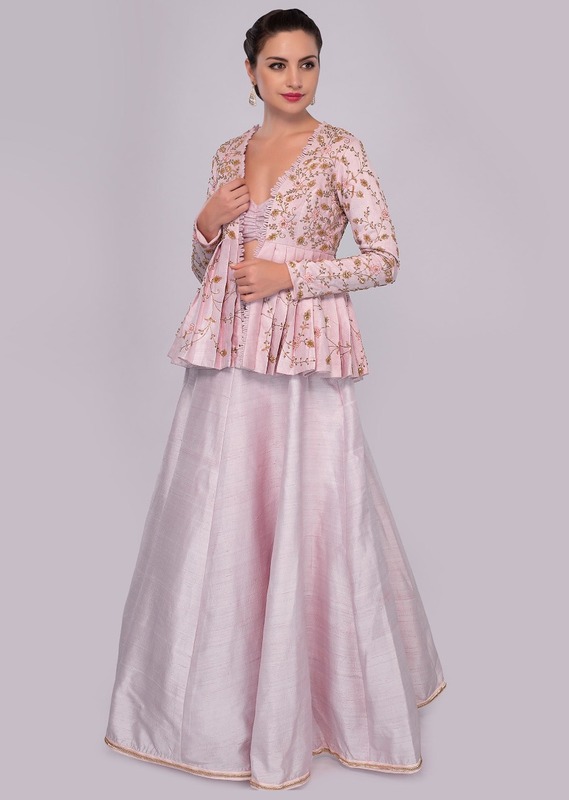 Heavily embellished in cut dana, zardosi,sequins floral embroidery. From the lower part it is enhanced with pleats.